The Deluxe Projection Adaptor is a particularly high quality solution for all telescopes with 2" focuser. 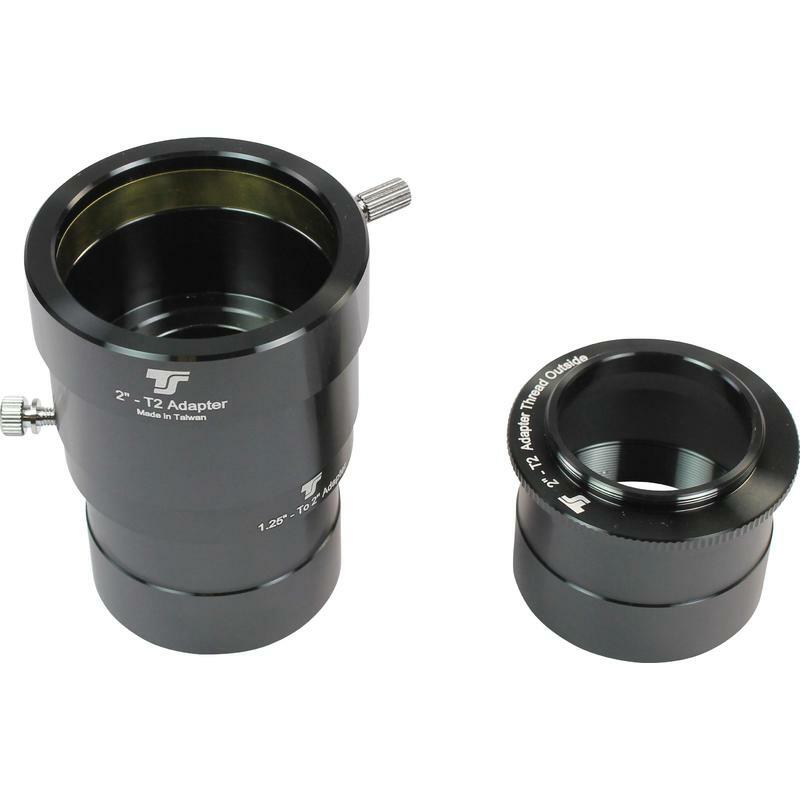 It accepts most eyepieces with 1.25" barrel, including medium sized eyepieces that would not fit into a regular projection adaptor. 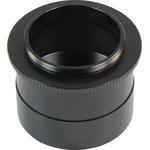 Examples of this would be 32mm Super Plossls or 1.25" WA eyepieces. You can use almost all 1.25" eyepieces, in particular those with a slightly larger body than normal. 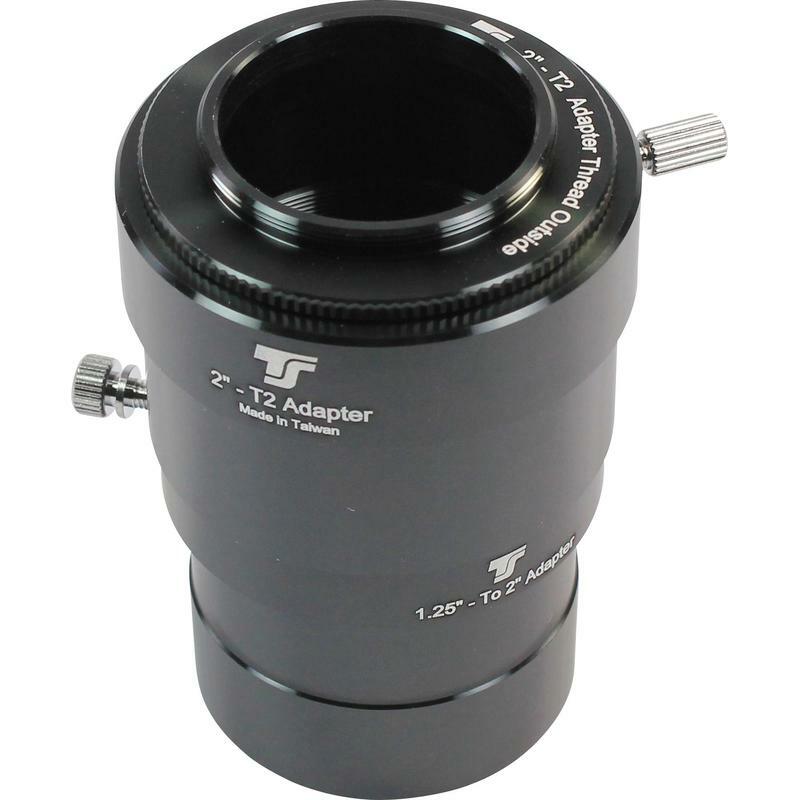 The T2 adaptation can be extended for fine-tuning of the projection distance. A larger distance translates into a stronger zoom factor. 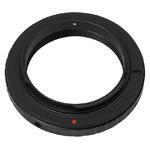 The eyepiece can be locked with two locking screws that tighten a compression ring. 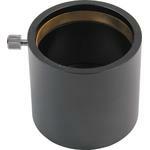 The individual components of this adaptor have a lot of additional applications.